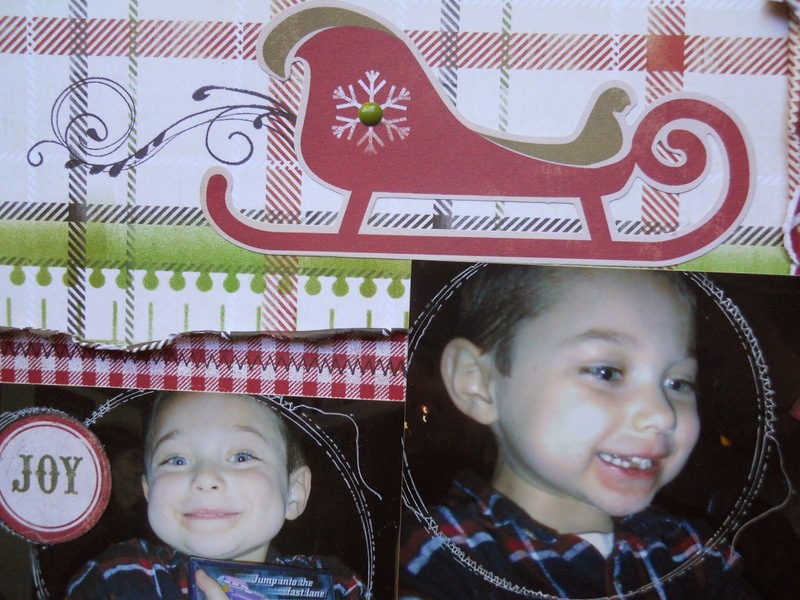 I'm so glad I held onto these older Christmas photos of my son, because they were meant to be scrapped with the new Sleigh Bells Ring I want it all bundle by My Mind's Eye from FotoBella! Just look at how perfect his shirt matches that paper! Sorry for the weird photo, but in real life the plaids all align together. I took my inspiration from this sketch. All of the stitching was stamped, as well as the flourish coming from the sleigh. I used the Word/Alpha Stickers for the year and the banner. Christmas, the Bingo card, Santa, the snowflakes, sleigh, and small circles come in the Mixed Bag, which still has so many goodies left in it. 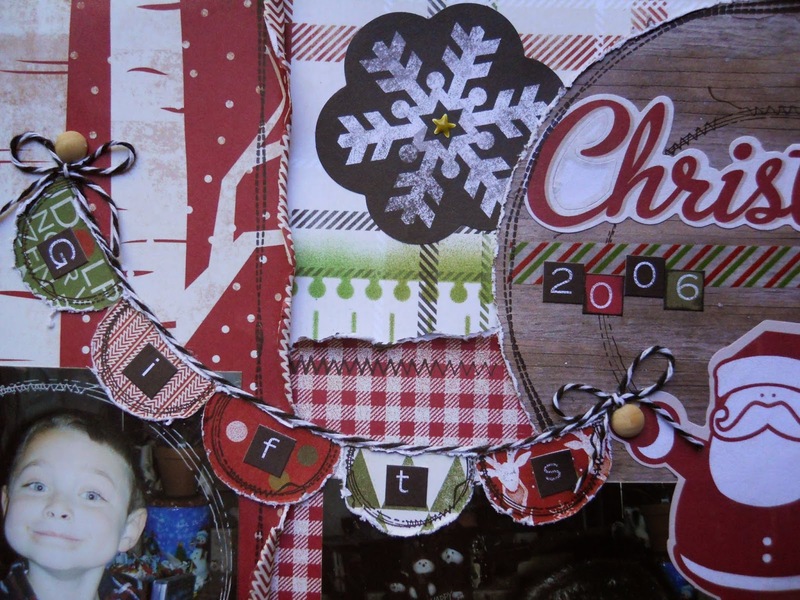 I used the Wood Dots to attach the banner, and for the center of the red snowflake on the right photo. I used all but one of the Decorative Tapes on both pages. I added the Enamel Shapes to the black snowflake and snowflake on the sleigh. 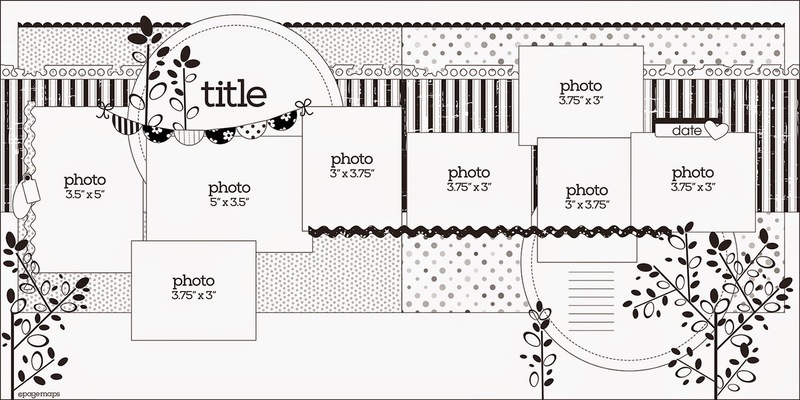 I used a notebook stencil and Distress Inks (Mowed Lawn and Peeled Paint), to create the border under the gingham paper.